Here's a look at information and statistics concerning vaccines in the United States. There are 14 different vaccines that are recommended for children between birth and age six, including those for diphtheria, pertussis, tetanus, influenza, measles, mumps and rubella. For more than 100 years, there has been public discord regarding vaccines based on issues like individual rights, religious freedoms, distrust of government and the effects that vaccines may have on the health of children. Exemptions to vaccines fall into three general categories: medical, religious and philosophical. Median immunization coverage for state-required vaccines was approximately 94% for children entering kindergarten during the 2016-2017 school year, according to the Centers for Disease Control and Prevention (CDC). As of December 2017, 47 states and the District of Columbia allow religious exemptions from vaccines, and 18 states allow philosophical (non-spiritual) exemptions. Two states - Vermont and California - passed laws in 2015 that repeal exemptions for parents who do not want their children vaccinated based on personal philosophy. While the California law bans both philosophical and religious exemptions, the Vermont law only repeals philosophical exemptions. 1855 - Massachusetts mandates that school children are to be vaccinated (only the smallpox vaccine is available at the time). February 20, 1905 - In Jacobson v. Massachusetts, the US Supreme Court upholds the State's right to compel immunizing against smallpox. November 13, 1922 - The US Supreme Court denies any constitutional violation in Zucht v. King in which Rosalyn Zucht believes that requiring vaccines violates her right to liberty without due process. The High Court opines that city ordinances that require vaccinations for children to attend school are a "discretion required for the protection of the public health." 1952 - Dr. Jonas Salk and his team develop a vaccine for polio. A nationwide trial leads to the vaccine being declared in 1955 to be safe and effective. 1963 - The first measles vaccine is released. 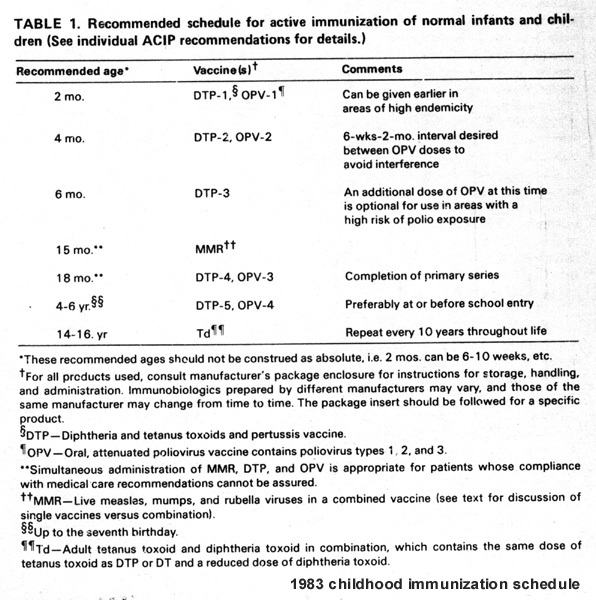 1983 - A schedule for active immunizations is recommended by the CDC. March 19, 1992 - Rolling Stone publishes an article by Tom Curtis, "The Origin of AIDS," which presents a theory that ties HIV/AIDS to polio vaccines. Curtis writes that in the late 1950s, during a vaccination campaign in Africa, at least 325,000 people were immunized with a contaminated polio vaccine. The article alleges that the vaccine may have been contaminated with a monkey virus and is the cause of the human immunodeficiency virus, later known as HIV/AIDS. August 10, 1993 - Congress passes the Omnibus Budget Reconciliation Act which creates the Vaccines for Children Program, providing qualified children free vaccines. December 9, 1993 - Rolling Stone publishes an update to the Curtis article, clarifying that his theory was not fact, and Rolling Stone did not mean to suggest there was any scientific proof to support it, and the magazine regrets any damage caused by the article. 1998 - British researcher Andrew Wakefield and 12 other authors publish a paper stating they had evidence that linked the vaccination for Measles, Mumps and Rubella (MMR) to autism. They claim they discovered the measles virus in the digestive systems of autistic children who were given the measles, mumps and rubella (MMR) vaccine. The publication leads to a widespread increase in the number of parents choosing not to vaccinate their children for fear of its link to autism. 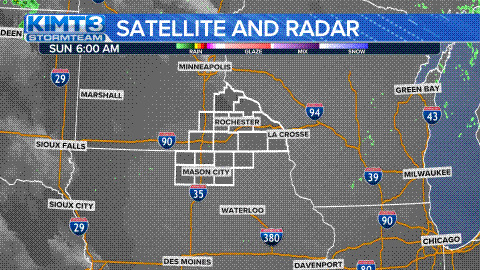 2000 - The CDC declares the United States has achieved measles elimination, defined as "the absence of continuous disease transmission for 12 months or more in a specific geographic area." 2004 - Co-authors of the Wakefield study begin removing their names from the article when they discover Wakefield had been paid by lawyers representing parents who planned to sue vaccine manufacturers. May 14, 2004 - The Institute of Medicine releases a report "rejecting a causal relationship between the MMR vaccine and autism." February 2010 - The Lancet, the British medical journal that published Wakefield's study, officially retracts the article. Britain also revokes Wakefield's medical license. 2011 - Investigative reporter Brian Deer writes a series of articles in the British Medical Journal (BMJ) exposing Wakefield's fraud. The articles state that he used distorted data and falsified medical histories of children that may have led to an unfounded relationship between vaccines and the development of autism. 2011 - The US Public Health Service finds that 63% of parents who refuse and delay vaccines do so for fear their children could have serious side effects. 2014 - The CDC reports the highest number of cases at 667 since declaring measles eliminated in 2000. June 17, 2014 - After analyzing 10 studies, all of which looked at whether there was a link between vaccines and autism and involved a total of over one million children, the University of Sydney publishes a report saying there is no correlation between vaccinations and the development of autism. December 2014 - A measles outbreak occurs at Disneyland in California. 2015 - In the wake of the theme park outbreak, 189 cases of measles are reported in 24 states and Washington, DC. February 2015 - Advocacy group Autism Speaks releases a statement, "Over the last two decades, extensive research has asked whether there is any link between childhood vaccinations and autism. The results of this research are clear: Vaccines do not cause autism. We urge that all children be fully vaccinated." May 28, 2015 - Vermont Gov. Peter Shumlin signs a bill removing the philosophical exemption from the state's vaccination law. Parents may still request exemptions for medical or religious reasons. The law goes into effect on July 1, 2016. June 30, 2015 - California Gov. Jerry Brown signs legislation closing the "vaccine exemption loophole," by eliminating any personal or religious exemptions for immunizing children who attend school. The law takes effect on July 1, 2016. January-April 2016 - The CDC reports 10 cases of the measles in four states: California, Georgia, Tennessee and Texas. January 10, 2017 - Notable vaccine skeptic Robert F. Kennedy Jr. meets with President-elect Donald Trump. Afterwards, Kennedy tells reporters he agreed to chair a commission on "vaccination safety and scientific integrity." A Trump spokeswoman later says that no decision has been made about setting up a commission on autism. August 23, 2018 - A study published in the American Journal of Public Health finds that Twitter accounts run by automated bots and Russian trolls masqueraded as legitimate users engaging in online vaccine debates. The bots and trolls posted a variety of anti-, pro- and neutral tweets and directly confronted vaccine skeptics, which "legitimize" the vaccine debate, according to the researchers. October 11, 2018 - Two reports published by the CDC find that vaccine exemption rates and the percentage of unvaccinated children are on the rise.